1959, the Creation of the International Council of Kinetography Laban: Prologue. Notation and Recreation of Totentanz I – Mary Wigman (1921). Archiving the Scores: Preserving the Preservation. The Expressive Experience: Laban’s Eight Efforts and Bellydance. The Pathway of Kinetography Laban/Labanotation in México. LabanGraph TP: Developments of an Application for Editing Laban Kinetography. Tethered Across Distance: Choreographing with Motif Notation. What is the Basic of Creative Dance Education. White Crane Spreads its Wings and Snow Rabbit Digs the Earth: Kinetograms of Contrasting Styles within Chinese Martial and Meditative Arts of Taiji Quan (Tai Chi Chuan) and Qi Gong. Teaching Laban Based Contemporary Movement Practices to Ugandan Students at STAWA University. Documenting Kinesthetic Intentions and Learning Process in Trisha Brown’s M.O. Exploring an Alternative Approach for Motif Description in the Certification Program for Laban Movement Studies at the Laban/Bartenieff Institute of Movement Studies. The Key of Labanotation to Record Chinese Dance: A Case Study to Record “The Twisted Movement of Shandong Jiaozhou Yangko”. Cūkas driķos: Reading and Viewing Participatory and Presentational Versions of a Latvian Folk Dance. Let’s Read the Expression of Korean Dance. 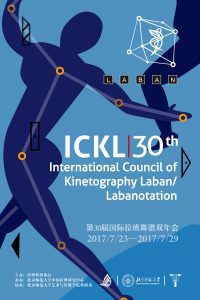 The Use of Laban Kinetography in Ethnochoreology. Cultural Policy and Notation Practice: How do Institutions and Individuals Operate within Different Policy Frameworks in Order to Make Notation Practice Possible? Score Checking. A Real Discipline? Steps for a Reconstruction: Observing a Luncinda Child’s Workshop. Kinetography, a Tool for the Choreographer’s Invention: The Example of Les Glycines – Encloses. Rudolf Laban’s Titan. Ninety Years after. 3 Ways to Keep Writing. Presentation of 3 Works Integrating Kinetography Laban. Discussion on Teaching Research and Educational Reform of Labanotation in a Comprehensive University. Labanotation of Comprehensive University Teaching. The Application of Educational Drama to the Laban Dancing Classes of Primary Schools. Kinetography Laban and the Industrial Gesture. Senior Exercise: The Re-staging of Nijinsky’s L’Après-Midi d’un Faune. “In Furious Demonstration of their Joy”. Dance in Polynesia. Another Faun. The restaging of Kurt Jooss’ Afternoon of a Faun. Labanotation’s Perspective: Chinese Stone Reliefs’ Dance Images in Han Dynasty. Using Notation to Enhance Core Curriculum Topics in Elementary Education. Through Ninety Years—Dai Ailian’s Dance Art Journey. We encourage attendees to choose this hotel, as there are not much possibilities around, and there is no Metro line close to the University. ICKL will organize pre-booking on a first come, first served basis. • Application of Kinetography Laban/Labanotation and other Laban-based concepts and methodologies – Call for Proposals (Deadline September 20, 2016). All participants and presenters must pay the applicable registration fee and membership fee for 2017. The registration fees include 6 lunches on site, a mid-conference cultural outing and a closing dinner. Pre-booking for the hotel close to the University campus will be organized through ICKL (first come, first served basis), together with Conference fee. Please read carefully information on hotel Beijing_Hotel_Info.